Geoff has designed and created art works that are exciting, different and unique to the area. Geoff has listened to stakeholders and has responded with sensitivity, understanding and creativity . Geoff has been reliable throughout the process and developed a quick understanding of the area, the people, the local heritage and how public art could really improve the area and make a difference to Kirkby. Geoff has always worked in partnership with us to find solutions, share ideas and has always been very approachable and responsive. I would happily recommend Geoff Wood and Working pArts for leading on creative projects in other places and I would love the opportunity to work with Geoff again in Knowsley as he has great vision and understanding of how art works can make a difference to a place. Geoff is extremely creative and brings exciting new ideas into a reality. Geoff Wood has worked with Pennine Prospects on a number of recent commissions. During 2012 and 2013 he led on the development and implementation of the Canal Connections project: a £100,000.00 programme of public realm improvements along the Rochdale Canal in Calderdale with financial support from the South Pennines LEADER partnership and the Canal & Rivers Trust. 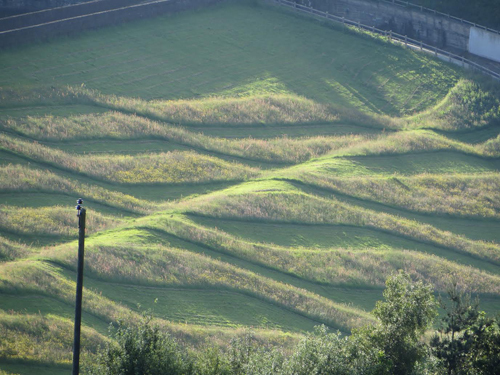 Geoff is currently the artistic director and curator for Fields of Vision: an exciting programme of field art installations, led by Pennine Prospects as part of the Yorkshire Festival 2014. Geoff has taken the lead on identifying and recruiting artists and managing the programme of works which will deliver a project worth over £200,000.00. Geoff played a central role in assembling the project proposal which has secured resources from Arts Council England, Yorkshire Water and the Yorkshire local authorities. Geoff always produces work of the highest quality and possesses excellent project management skills. Pennine Prospects has certainly benefited greatly from his extensive network of contacts in the artistic community. Geoff very clearly understands the demands of funders and is able to work closely with artists and other contractors to deliver maximum value for money and quality in all the projects that he manages. I would not hesitate to recommend Geoff and look forward to being able to work with him in the future. Working as an artist in the public realm requires many talents, skills which are put to the test every day because of the wide and varied number of professionals that one will engage with. Many of these skills are learnt along the way through, trial and error, and some can be self-taught. However, when an artist has to engage with high expectations from the client or stakeholder, they need to be able to communicate clearly through out the creative process of designing, specifying, and quantifying etc. This skill of communication is always different from job to job, not just because the actual client is different but because the type of public art commission engaged with, requires different focuses of attention. It can often be challenging for both artist and client to work together in these situations and this is where an independent art agent can be so valuable. My experience of working with Geoff in Workington was a great and pleasurable journey from beginning to end. He acted as a sounding board for my concerns about the client and various design aspect of the scheme, and, I have no doubt, he held the clients hand with regards to concerns about me. 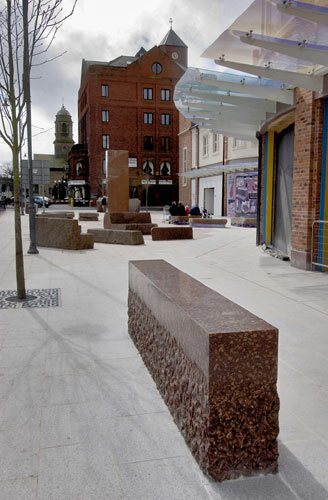 This enabled both myself and the client to engage with each other with trust and respect, resulting in an extremely successful public art commission. Geoff has a very personal touch in face-to-face meetings or via the telephone and email, this manifests itself in warm, calm and clear thinking behavior, always being proactive and positive.